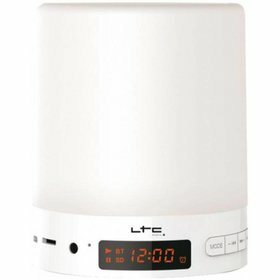 LTC Audio BT-WAKEUP alarm clock. A great sounding portable speaker, with Bluetooth, Auxiliary input, and FM Radio. Touck lamp with multiple colours and brightness settings.